Steed and Emma take off in a helicopter. Lo Que Vio El Mayordomo or ¿Qué Vio El Mayordomo? Secrets are leaking left, right and center, but which high-ranking official is the traitor? Only the butler knows. Appearing in a dazzling array of disguises, Steed enrolls at a butler training school, while Emma chases after a skirt-chaser! Does Willows' home look familiar? 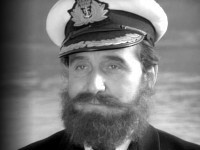 Gregory McVey-Russel notes it is also the Admiral's office in "A Funny Thing Happened on the Way to the Station." Acronym Alert: This episode is probably a record-holder for acronyms by virtue of a single scene: posing as an RAF officer, Steed has an exchange with Squadron Leader Hogg that is comprised almost exclusively of acronyms, including PRO, GHQ, BHQ, TTR, JJV, RHV, GSM, MY, PPR, 007, BB5, GGQ, CO and OK (I could never hope to identify them all). Outside of this, there's CFEE or CF "double E" which is the Commission for Eastern Europe. Masquerading as a butler, Steed gets all worked up about the sounds coming from the room in which Emma and the notorious Group Captain Miles are having drinks, and he ends up crouched at the door, listening through the keyhole with a funnel. 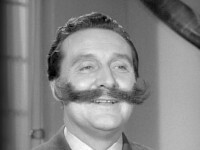 Steed reminds Emma she has a date with Group Captain Miles, leaving her with the advice, "Don't do anything I would do." 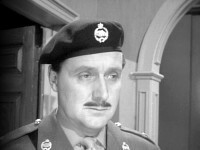 Alanna has contributed her favorite: "When Steed is carrying on in Air Force jargon at Group Captain Miles' residence, one of them remarks, 'Downgraded to 007.' Cracks me up every time."